You are seldom out of food options at the Promenade but in case you are, The Deck at the Dasvino Club comes as an alternate. Located on the other side of the Promenade, the Dasvino Club is at walking distance from the Promenade. Even driving down there hardly takes a couple of minutes and the club has ample parking space. Now coming to the best thing first. The location of the restaurant overlooking the lake and the Promenade gives an excellent opportunity to have a panoramic view of the Promenade, especially in the evening. The Deck has outside, inside and by the pool seating options. We were the first and only one that evening despite the fact that it was a high season. That was surprising, the first. Second was the time it took for our order to arrive. 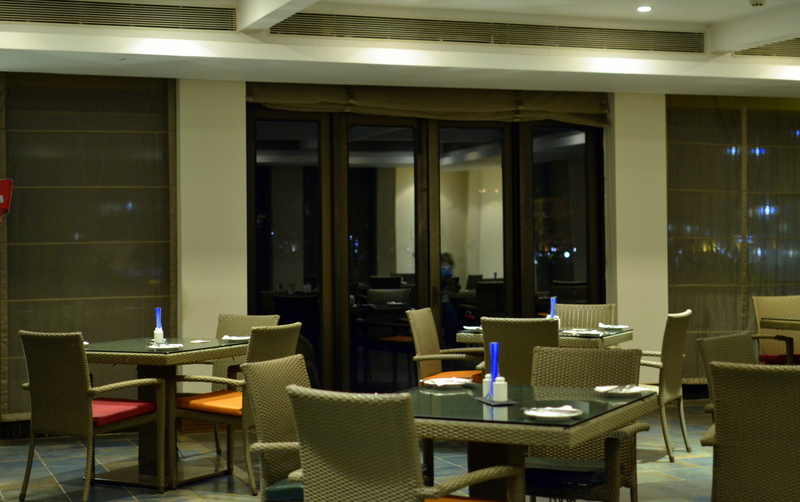 The multi-cuisine restaurant serves Indian, Italian, Meditirrenian food with limited options in each. 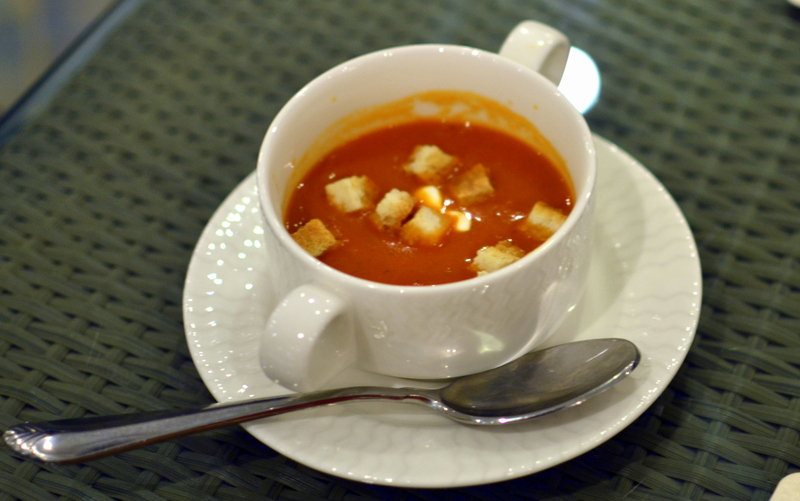 We ordered Cream of Tomato Soup (110++), Veg. 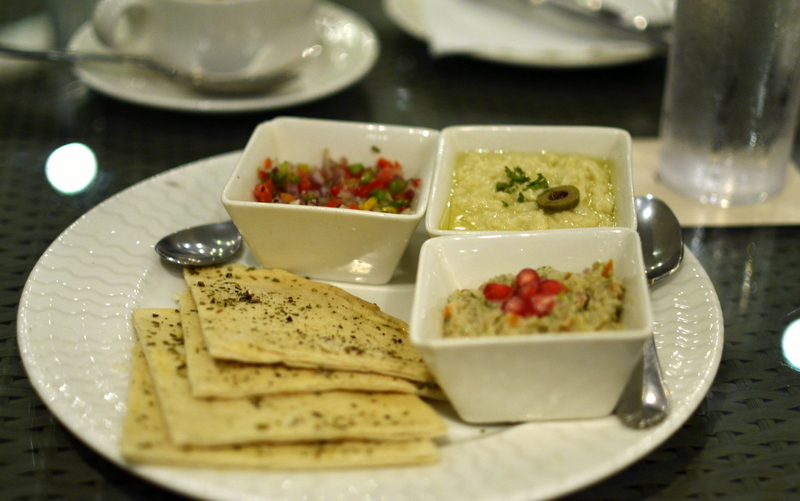 Mezze Platter (225++), Pizza Afumicato (245++) and Veg Steak BBQ Sauce and Garlic Bread (255++). The average in taste food came with the second surprise. It took us 20 mins from order to bill. Flat 20 mins! Rather than a compliment to the service, this makes me think and makes me worry about the freshness of the food. 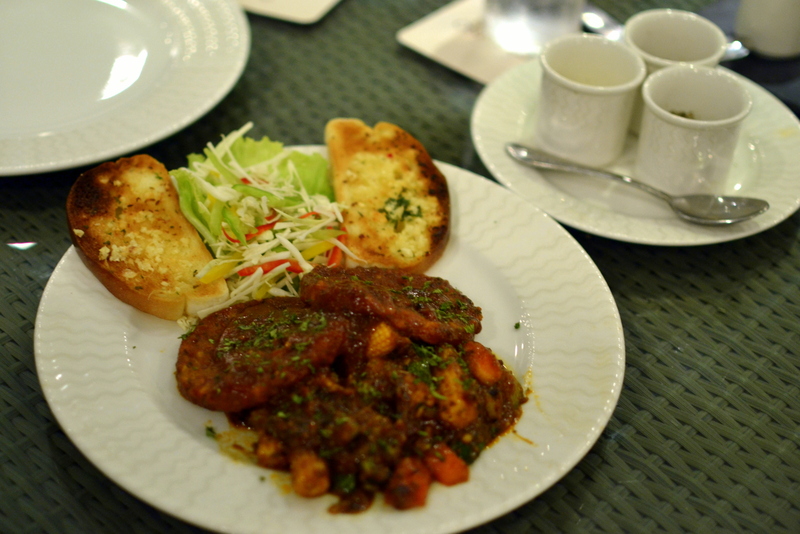 Conclusively, an average VFM fine dine option at Lavasa complemented by great views.